In European policy-making, the Nordic countries are often viewed as a relatively coherent bloc; in international and European affairs the Nordic position has traditionally been conditioned on being different from and better than Europe. 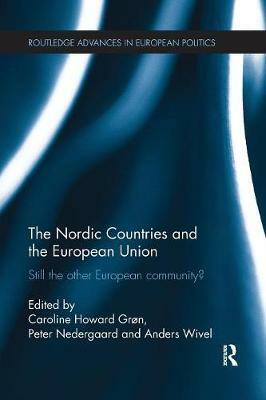 This book offers a coherent, original and systematic comparative analysis of the relationship between the Nordic countries and the European Union over the past two decades. It looks at the historical frame, institutions and policy areas, addressing both traditional EU areas such as agriculture and more nascent areas affecting the domestic and foreign policies of the Nordic countries. In doing so, it examines how the Nordic approach to European policy-making has developed and explains why the Nordic countries are similar in some respects while differing in others when engaging with EU institutions. In highlighting the similarities and differences between the Nordic countries it explores what lessons - positive and negative - may be drawn from this approach for the Nordic countries and other small states. This book will be of interest to scholars, students and practitioners engaged with the Nordic Countries, EU politics and policy-making, European politics and comparative politics.